Netanyahu calls Congress speech "fateful, even historic mission"
BEN-GURION AIRPORT, Israel - Israeli Prime Minister Benjamin Netanyahu headed to Washington on Sunday to press his case against an emerging deal on Iran's nuclear program in a contentious address to the U.S. Congress, which he said he is delivering out of concern for Israel's security. The address has caused an uproar that has exposed tensions between Israel and its most important ally, the United States. In accepting a Republican invitation to address Congress, Netanyahu angered the White House, which was not consulted with in advance of the invite, as well as Democrats who were forced to choose between showing support for Israel and backing the president. Netanyahu plans to express his disapproval over a potential deal between Iran and world powers that he says falls short of preventing Tehran from having the ability to make an atomic bomb. A preliminary deadline is later this month. 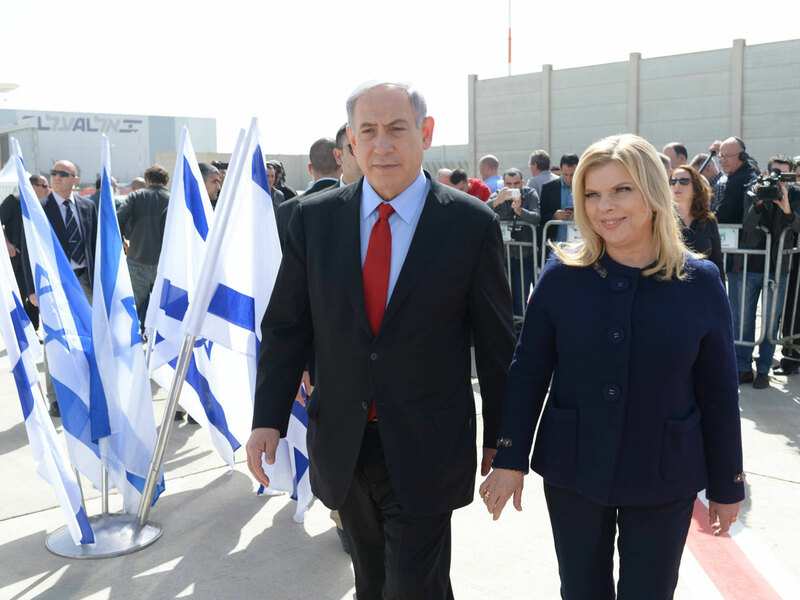 Netanyahu's new campaign ad takes aim at the U.S.
"I feel deep and genuine concern for the security of all the people of Israel," Netanyahu told journalists on the tarmac, his wife by his side, before boarding his flight. "I will do everything in my ability to secure our future." In a press release before leaving, he called the trip a "fateful, even historic mission." "I feel that I am the emissary of all Israelis, even those who disagree with me, of the entire Jewish People," Netanyahu said. "I am deeply and genuinely concerned for the security of all Israelis, for the fate of the nation, and for the fate of our people and I will do my utmost to ensure our future." Tuesday's speech to Congress has touched off criticism in Israel, where Netanyahu is seeking re-election on March 17. His main challenger, Isaac Herzog, had demanded he cancel the speech. On Sunday, a group representing 200 former Israeli security officials came out against it. The group said the rift with Washington can embolden Iran to acquire an atomic bomb faster, if it thinks Israel is isolated and less likely to attack its nuclear facilities. The White House has called his visit "destructive." "The relationship between Israel as a country and the United States as a country has always been bipartisan and we've been fortunate that politics have not been injected into that relationship," National Security Adviser Susan Rice said last week. "What has happened over the last several weeks by virtue of the invitation that was issued by the Speaker and the acceptance of it by Prime Minister Netanyahu, two weeks in advance of his election, is that on both sides there has now be injected a degree of partisanship, which is not only unfortunate, I think it's destructive of the fabric of the relationship." After Netanyahu declined Senate Democrats' request to meet privately ahead of the speech, prominent congressional Democrats have been vowing to skip his appearance in their chamber. Vice President Joe Biden may also not attend. Stopping Iran from building a nuclear bomb has become a defining challenge for both President Barack Obama and Netanyahu, yet they have approached the issue differently. Netanyahu considers unacceptable any deal that doesn't end Iran's nuclear program entirely. Obama appears to be willing to leave some nuclear activity intact, backed by safeguards that Iran is not trying to develop a weapon. Iran says its nuclear program is for peaceful purposes.